As Christmas songs fill store aisles brimming with gifts, shopping at this time of year can be a festive treat, but also a tricky and exhausting task. 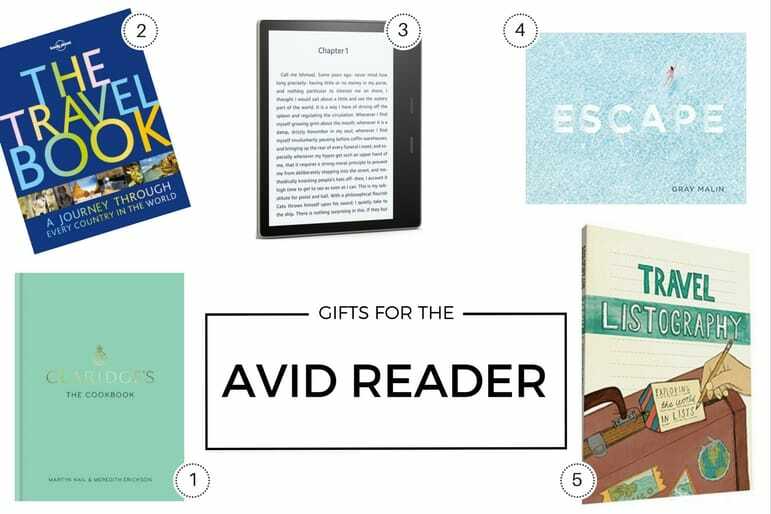 What you need is a Christmas gift guide bursting with ideas for luxury travellers. Looking for something unique can take weeks, with hours spent traipsing the high street or shopping online. So we’ve done the Christmas gift sourcing for you. 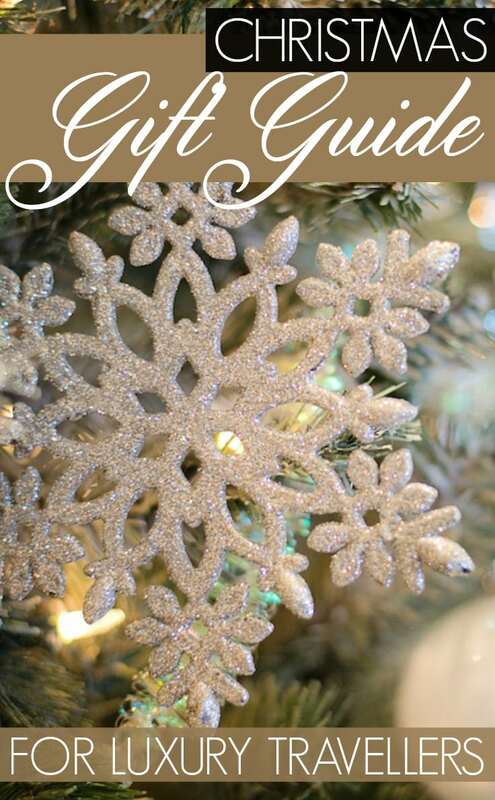 Here is your very own Christmas gift guide to help save you time finding the perfect gift with the luxury they’ll love, and that’s also good value for money. You’ll want some money left over for your 2018 travels after all! 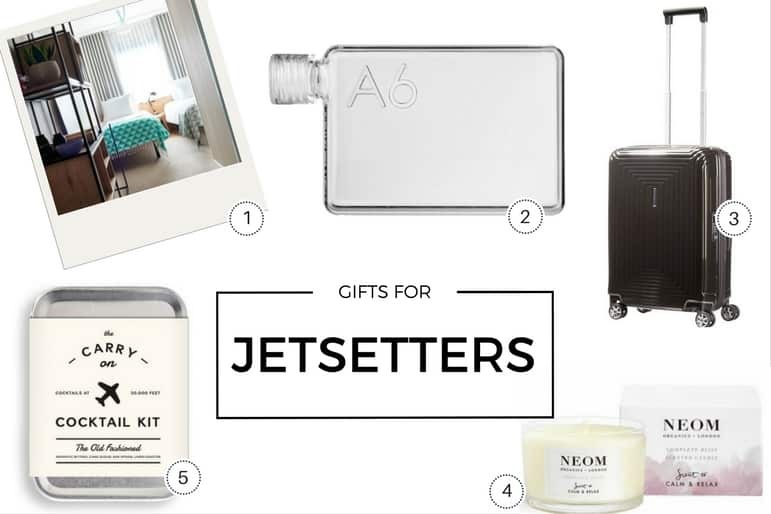 From items for the gadget lover to the fashion conscious traveller, we have gifts covered for that special person in your life. Found an amazing gift for a friend or loved one? Share it with us at the end of the article. The long-awaited GoPro Hero6 has landed in time for Christmas, and makes the ideal gift for capturing those all-important memories over the holiday season and beyond. Offering twice the performance of its predecessor, it has crisp 4k 60 video, touch zoom, HDR photos and even faster download speeds. The GoPro’s latest design is a hardy all-rounder and a space saver for your luggage – gone are the days of bulky camcorders. 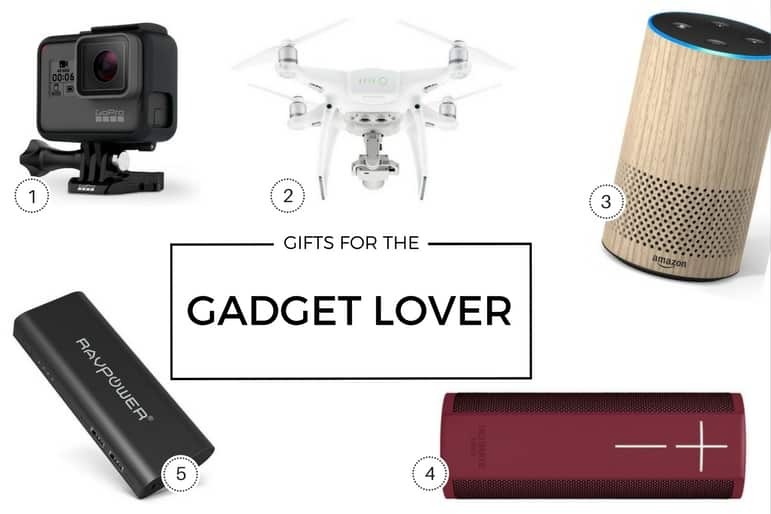 If the gadget lover in your life has been extremely good all year, this is the gift for them. The Phantom 4 Pro is controlled using your smartphone and is packed with features for crisp and stable aerial footage. It features a longer flying time of 30 minutes and has also been updated with powerful obstacle avoidance technology and a backwards vision system to capture even more stunning shots. Still at the top of people’s wish-lists this year, the Amazon Echo is a personal assistant and DJ, in the form of a powerful handsfree speaker called Alexa. With 360-degree audio, this neat bit of kit is a great accessory for the home and is available in six fabrics and finishes to suit your style. The Echo allows you to ask questions, set reminders, control thermostats and play your favourite tunes throughout your home. Plus if you buy three you can save £50 with code ECHO3PACK. From £89.99, click to review product details and buy. Ultimate Ears continues to deliver slim, portable and stylish speakers, combined with intensely rich 360-degree sound. The Blast is waterproof, with Amazon Alexa technology built in for hands-free control and convenience. And with wi-fi and Bluetooth it’s the must-have accessory for music-loving travellers either at home or on the go. Every tech fan needs their gadgets refuelling, so a charging bank makes a great stocking filler. Make the most of it and opt for the 27000mAh model at £34.99, which has enough oomph to power just about everything – including a vacuum cleaner! These recipes curated from Claridges – one of the world’s finest luxury hotels – are sure to be a hit with dinner party guests, and this book will be the gift that keeps on giving. Purchase for the closest host or luxury traveller in your life and reap the rewards of fabulous dishes – just make sure you receive a dinner invite! This Lonely Planet hardback book would look great on anyone’s coffee table. 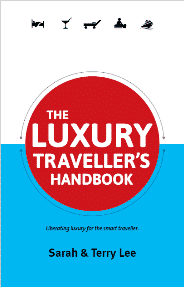 Loaded with tips on things to see and do in 230 countries, it won’t be hard to find inspiration within the 448 pages. With the latest tablets and phones now smarter than ever, you may question why anyone would bother with an e-reader in 2017. However e-ink screens make it easier on the eye for direct sunlight and night-time reading, and e-readers offer far better battery performance than your average smartphone or tablet. The Kindle Oasis is perfect for jetsetters, with 32GB storage for your whole library of books, offering the largest display and resolution in the Kindle range, plus it’s waterproof which makes it even better for poolside reading. From £229.99, click here to review product details and buy. Pictures paint a thousand words as the saying goes, so if you have a keen photographer in your life, Escape is Gray Malin’s unmissable addition to their bookshelf. Find inspiration within Malin’s stunning aerial photography and his signature style which will ignite your sense of joy, fun and adventure, from the plains of South Africa to the snowy climes of Aspen. This listography is a guided journal featuring cues to help you plan your future travels and reflect on past adventures. With over 70 topics, this is a great guide for the procrastinator in your life who could do with being a little more organised when it comes to planning their travels. Finding holiday outfits to mix and match to save space in your luggage is a familiar exercise for us ladies, but when we stumbled upon this multi-wear garment we couldn’t quite believe our eyes. A scarf, a cardigan, a wrap, a dress, a gown… there are at least eight ways to wear this fashionable design, and you can watch the tutorials online on how to create each look. Available in a range of colours, it makes a thoughtful gift and will be the first thing she’ll pack for her travels. This is liquid gold in a bottle for the regular traveller. A dewy skin mist to prevent the dreaded drying effects from travelling at altitude, it will keep your skin well hydrated until touchdown. You will know from our packing tips how essential a scarf is when you travel and this rose print scarf offers multiple wear options. Use it as a sarong, to cover shoulders when visiting religious sites or to simply add extra sass and warmth to your holiday wear. And with such muted colours, it will coordinate with a whole host of outfits. Arm candy will never go amiss, and we adore this stylish crossbody bag from All Saints, made for around town or when you’re off on your travels. Roomy enough to hold your currency, camera and sunglasses, yet compact enough to stop you feeling like you’re weighed down, as well as rocking the tassles trend, it is a gift you’ll long be remembered for. From arm candy to hand candy, some luxurious leather gloves will never go unwanted, especially this cashmere lined number from John Lewis which offer style and warmth combined. This men’s bag works for a range of uses from a backpack to a carry-on. It’s a lightweight alternative made from canvas and leather and is available in olive green or beige for the stylish gent in your life. 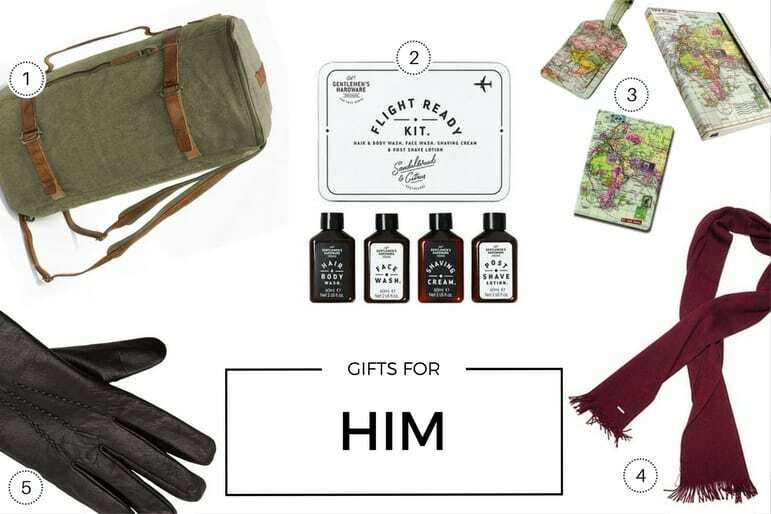 This charming travel kit is the perfect companion for the gent in your life who is always travelling. Comes complete with face, hair and body wash as well as shave cream and lotion, all infused with sandalwood and citrus for a fresh scent on the move. This passport, luggage tag and journal bundle in an eye-catching world map design is just made for the man in your life who loves to travel. The cooler weather is well and truly here, and this rich wool scarf will make a useful and smart addition to his winter wardrobe. These premium quality leather gloves will be a much-loved accessory for the man that likes fashion and quality in equal measure. It’s not long after the big day that keen travellers turn their attention to planning their next big break for 2018 (see our guide to 30 places to go for Christmas and New Year for plenty of inspiration). Why not make it happen a little sooner and book New Year’s Eve in London, aboard the Good Hotel. With spectacular views of the fireworks above London from its rooftop terrace, this socially-conscious hotel offers guests a premium experience combined with the opportunity to do good for the community – a great start for 2018. Gone are bulky bottles when travelling. The super-slim (well about as thin as a book) Memo Bottle is cleverly designed to slip neatly into your bag, ready for when you need hydration. The A5 option stores 750ml of water, while A6 will house 375ml. We’re all about keeping our suitcase options open, but Samsonite is always a safe bet for quality and choice. The Neopulse comes in four sizes and seven colours so you can tailor the ideal option for your recipient. Robust yet lightweight, as well as featuring a TSA-approved lock and zipped divider it blends convenience and security into one – a firm favourite for the frequent flyer. Long flights, jet lag, hectic sightseeing, it all can get a bit much when you’re on holiday. Feel the calm with these organic candles from Neom, with six comforting options in the travel range including happiness, sleep, calm, destress, calm and boost energy to cover the full range of holiday rescue needs. We think we might need to buy all six just in case! This novelty kit comes with all the tools, ingredients and inspiration you need to make your own G&T cocktail at 30,000 feet, or for those especially long train journeys.